This Document presents three distinct Novenas to Mary, Rosa Mystica. Some prayer elements, like the Daily Preparation, etc. are common to all three novenas as we will indicate at the appropriate places. Please Note: These Novenas may be offered in: (a) Any nine consecutive days; (b) Nine consecutive weeks (Saturday would be a good day of the week to choose for the weekly Novena); (c) Nine consecutive months (the 13th of each month would be a good day of the month to offer the prayer of the Novena corresponding to that month). ; or (d) The nine days leading to the 13th of any particular month. That is - starting the novena on the 5th of the month with the last day of the Novena being the 13th of the same month. Maria, Rosa Mystica, fragrant rose of mysticism, wonderful flower of divine knowledge, of purity and blinding beauty, of brilliant, shining glory, of power and overwhelmingly blessing love: we kneel before you to pray , to look, to listen; to look at you and to inhale your heavenly perfume until we have, above all, taken something of your immaculate, pure, and perfect being into our inner selves; to pray that we should no longer, or above all, ask only for your gifts, for the salvation of, and help for, our body and soul; but to pray that we may become like you; that we may listen attentively and closely to every single word of yours which you have spoken not only in the past but even more so in the present, more frequently and more imploringly. 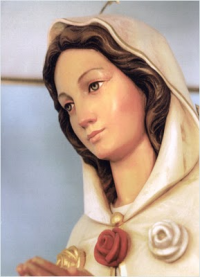 Mary, fragrant Rose of Mysticism, please help us to take a look inside ourselves and to examine ourselves, how we shall be able to bear your glance and stand firm before you; help us to know ourselves better, especially in those areas of thought and deed which displease you; help us to become more like you. We promise that we shall try. We also promise to imitate you. Please help us to work on ourselves, to let your love shine wherever we are able to work, but especially for the priests and religious. Novena for Specific Personal Intention. Maria Rosa Mystica - Mystical Rose, Immaculate Conception - Mother of Our Lord Jesus Christ - Mother of Grace - Mother of the Mystical Body, of the Church... You came down on earth to call upon us children of this earth to love each other, to unite, and live in peace. You promised us your motherly protection, full of graces: "I am always very close to you with My motherly love." Lord Jesus Christ, you have sent us Your Mother as a wonderful example of holiness and mysticism and especially as an ideal and patroness for the priests and religious. We ask you, grant us Your help to imitate Your Most Holy Mother more and more, to become souls of expiation and victim souls for those priests and religious, who fail you: You who lives and reigns for ever and ever. Amen. Consider: The extreme opposite to the Rosa Mystica: the dirtiest and most gruesome thing in the world; beauty and ugliness; the destruction of God and man in modern art, by the mass media, in the press, on radio and television; the destruction of all values and order before and in marriage, in education and at school, shameless fashion taken to extreme excesses; all this carried right into our churches and to the holiest places. Consider: It is not enough to observe how desolate and catastrophic the general situation is. At first, one must oneself be prepared not only to refuse to go with fashion but, as a penance, also to have to put up with something that is not really required, to go without something even if it is not sin. One ought to consider that one could also be guilty of sin committed by others, by setting a bad example for them. We Pray: Maria, Rosa Mystica, grant that you will give us the true spirit of atonement , to fight the current of evil, to accept more often and voluntarily all the unpleasant things the more others fail you. Maria, Rosa Mystica, graciously hear us and pray for us. Consider: Pious pilgrims in particular should note: "The reason prayers often do not bring the expected answer is because too little penance is done with the prayer. "One dresses just as comfortably and lightly as others, and one complains about little daily inconveniences. What would Mary say to this? We pray: Maria, Rosa Mystica, grant that we do not forget true penance and reparation with all our prayers, at home and on journeys! Please grant us the right spirit when we come to you. Maria, Rosa Mystica, graciously hear us and pray for us. Consider: How to achieve all the before-mentioned? Two things are needed. 2. Mediation on the Holy Sacraments and Sacramentals, on the Holy Rosary, the Holy Scriptures, and the life of Saints. In addition, a truly deeply religious and pious father confessor is needed as a spiritual director. This would be by way of one’s own effort, of "active cleansing." God Himself will help us through His Grace and His Guidance even in sorrow, when we are humiliated, disappointed, and suffer set-backs. Become totally free for God; break away from all attachment to the world and people, be free for the incomprehensible Glory of God. We pray: Maria, Rosa Mystica, grant that you may help us and lead us in our efforts. Maria, Rosa Mystica, graciously hear us and pray for us. Consider: When God takes everything away from man which blocks his path to God; when He helps you to leave everything; when He takes away one’s close attachment to people and things, even one’s consolation; when He leads you into the very darkest "night of the spirit" without any consolations; when there is nothing but darkness and sorrow, and when one can still say like lSt. Therese of the Child Jesus or Padre Pio: " I believe", then all natural things and created things are removed, and God is able to let flow the abundance of His Graces, knowledge and charism into one’s body and soul without hindrance. We pray: Let us dare to offer this prayer with its full weight and accept its possible consequences as Brother St. Klaus, the patron saint of Switzerland, once prayed: "My Lord and my God, take everything from me, everything that may prevent me from coming to you Give me everything that brings me close to you. Take me and do with me as you please!" 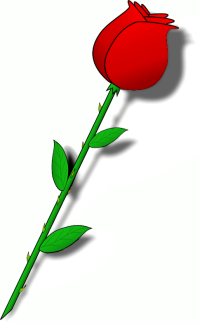 "The quickest and easiest way to mysticism is Mary- the rose of Mysticism". At the same time we must, however, prevent ourselves from falling under the widely-spread misunderstanding to believe that x-many recited rosaries together with x-many pilgrimages and devotions have now given us the "ticket to Heaven", otherwise we deceive ourselves! St. Louis de Montfort knows very well how to differentiate between faked and genuine Marian devotion; not just any way leads to mysticism! A whole list of wrong ways of Marian devotions are mentioned by him: e.g. The anxious way, the impertinent way, the superficial way, the selfish way (how much selfishness that is in spiritual intentions! ), etc. Devotion to Mary must be genuine, needs inner preparation and cooperation; it needs devotion that is really trying hard not only to recite casually x-many beautiful prayers and "devotions" but also to inhale the real spirit of Mary; to do everything "with Mary, in Mary, for Mary "; to ask oneself consciously and with your innermost heart: "What does Mary want from me? What would She do in my palace? How can I please Her? What would She certainly disagree with?" What changes would occur in the world, in the life of a person, in families, societies, and in nations if one were really prepared to be led by Mary. We Pray: Maria, Rosa Mystica, help us to get to know you more and more, lead us and guide us that we may be able to find the path to your mysticism. Consider: There is very little written in the Scriptures about mysticism (supernatural unity with God) in Mary’s life on earth, and in Her transformation. Some general remarks only: "Blessed , full of grace." The conception in Her womb-judging by the text in the Bible- can only be surmised with deepest reverence; In any event something extremely great and mysteriously enchanting happened when the infinite, eternal love was united with the most loving human heart that ever existed, and will ever exist; united in order to create a tiny yet infinitely great being. However, we do not only possess the bible. The dogmas, the meditations and writings of our great theologians and fathers of the Church, the revelations to mystics, whether male or female, all of them open the seed for us which is already contained in the Holy Scriptures, full of meaning. The results of mysticism are powerful. We pray: Maria, Rosa Mystica, grant that mankind may find its way to the most beautiful things, to the glories of the supernatural that surpass nature itself. Please give us the fervour to seek this wonderful Divinity and to lead others to it so that they may learn to recognize how poor the delights and desires of this world are compared with Mary, the "Rosa Mystica"
We pray: O God , whose only begotten son has prepared for us the treasures of eternal salvation through His Life, His Death and Resurrection grant we beseech You that when we meditate on the mysteries of the Holy Rosary of the Most Blessed Virgin Mary and imitate what they contain, we shall receive what they promise through Christ, Our Lord. Final Prayer Lord Jesus Christ, you have sent us Your Mother as a wonderful example of holiness and mysticism and especially as an ideal and patroness for the priests and religious. We ask you, grant us Your help to imitate Your Most Holy Mother more and more, to become souls of expiation and victim souls for those priests and religious, who fail you: You who lives and reigns for ever and ever. Amen. Consider: The special intention of the Mother of God: vocations to priesthood and religious life. Even if every Christian is called to holiness and mysticism, it is of even greater meaning and importance for the priests and religious. They should venerate and imitate their ideal, Mary, the Rosa Mystica, in a special way; and this is something that is missing quite often, most of all in our seminaries, monasteries and convents. It ought, therefore, to be a special apostolate to spread the purpose and meaning of this devotion in those houses, for nowhere more saints and mystics are needed that there. The task of the laity will be to replace what is missing, through their own apostolate and a more zealous imitation of the Rosa Mystica! We pray: 3 Our Father... 3 Hail Mary... 3 Glory be - For the sanctification of priests, bishops, and religious; for special guidance and strength for the Holy Father. Novena for Priests and Religious. Immaculate Heart of Mary, Rosa Mystica, pray for all those priests and religious who do not obey the Holy Father any longer, Save them. Immaculate Heart of Mary, Rosa Mystica, Pray for all those priests and religious for the sake of the swords in your heart, which is also pierced by the swords in your heart, which is also pierced by the sword of sorrow which you are suffering for priests and religious, Save them. Thee in quest of blessings may be gladdened by obtaining them all through the Immaculate Heart of Mary. Thou Who livest and reignest with the Father and the Holy Ghost, one God for ever and ever. Amen.